Presented by Steve Krolick. Dive into a timeline of the history and evolution of firearms. Specifically, the talk covers the development of powder, ammunition, lock development and different types of weapons. Mr. Krolick will also provide examples of these firearms to see first hand by the attendees. Presented by Claire Herhold. Robert Gould Shaw is remembered today as the colonel of the first all-African American volunteer regiment in the Civil War – the regiment that opened the door for 180,000 African American men to serve by war’s end. Despite growing up as the son of prominent abolitionists, Shaw struggled with the decision to accept the position. This talk will examine Shaw’s relationship with the regiment in the context of his family’s activism and nineteenth century conceptions of masculinity. Presented by Gene Salecker. This presentation centers on the history of Alabama’s Cahaba Prison, an institution that housed Union prisoners inside an old cotton warehouse built beside the Alabama River. Mr. Salecker will show that Cahaba was one of the better run Confederate prisons with the lowest death rate among southern prisons. That is not to say it was not without its problems. In early 1865, the river rose and flooded the entire compound, forcing the prisoners to either stand waist-deep in the water for a few days or scramble onto the few logs and such that the Confederates floated into the prison. He will also tell of an unsuccessful attempt of a full-scale breakout that was foiled at the last minute. Spark! 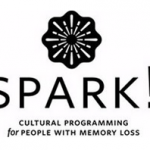 is a monthly program for individuals in early to mid-stages of memory loss and their caregivers. Participants are engaged in lively conversations, storytelling, interactive exhibit experiences, object handling, and other multi-sensory activities. Space is limited, so reservations are required. 262-653-4423 or spark@kenosha.org. March 15: Civil War Soldier Life as a Civil War soldier was incredibly hard. Handle artifacts and explore the exhibit to learn about what they carried, ate, and how they lived. April 12: Paper Making Letter writing was an important form of communication for Civil War soldiers. Hear the letters themselves, and then help make paper to take home with you. May 17: Civil War Medicine Find out how germs were passed around, how surgery happened, and explore the herbal remedies the Civil War soldiers used. The Civil War Museum’s annual Home Front Seminar highlights topics and talks pertaining to the non-military and social history aspects of the Civil War period. John Brown’s Children and the Long Reach of the Civil War. Dr. Bonnie Laughlin-Schultz, History Department, Eastern Illinois University. 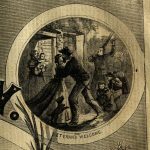 The talk will cover the participation of Brown’s children in the antislavery movement and the coming of the war as well as their lives after Brown’s execution in 1859, when they lived with his notoriety. The last Brown child, Annie, died in 1926, and she and her seven siblings long grappled with what Brown’s activism had meant and how it and the war should be, and were being, remembered by the broader American public. Wisconsin Farms to Factories. Dan Hess, Old World Wisconsin. In the years leading up to the Civil War to the years following, Wisconsin saw vast changes in its agricultural and manufacturing industries. What were these changes, what caused them, and what did this mean for the people of Wisconsin? Mr. Hess is the guest experience manager of Historic Trades at Old World Wisconsin of the Wisconsin Historical Society. As the manager of its Historic Trades program Mr. Hess researches, practices, and teaches people the history and practical skills of historic blacksmithing, leatherwork and woodworking. His education includes studying history, anthropology and museum studies at Luther College and historical administration at Eastern Illinois University. Cardomania! The Rise and Fall of the Carte de Visite in Civil War America. Ronald Coddington, editor and publisher, Military Images Magazine. The Civil War generation was the first to grow up with photography. This transformative medium made it possible for Americans from all walks of life to preserve their own likeness, a privilege once reserved only for the wealthy. During photography’s early years, daguerreotypes, ambrotypes and tintypes ruled the portrait world. Then, on the eve of the Civil War, a curious new format landed in America—the carte de visite. After hostilities began, hundreds of thousands of citizen soldiers and sailors posed for their likenesses. Countless millions of photographs were produced. Significant numbers of these most intimate and personal artifacts survive today. Some are finding a place among the iconic images of the war. Join Mr. Coddington, author of four books of collected Civil War portraits and editor and publisher of Military Images Magazine, as he tells the story of the rise and fall of the carte de visite—and what became of them. Respected and Rejected: African American Veterans and Their Families. Jeff Kannel. African Americans from Wisconsin who served in the Civil War and their families faced a mixture of acceptance and rejection after the Civil War. While individual black veterans retained a high degree of respect in society, African Americans in general found themselves increasingly restricted and unwanted as rural and small town black communities gradually disappeared and urban opportunities shrank. Mr. Kannel’s program details how these veterans and their descendants persevered and accomplished much. 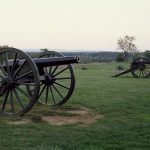 Larry Tagg, author of The Generals of Gettysburg and The Unpopular Mr. Lincoln, discusses the Civil War’s Western generals and the strategies that resulted in the Battle of Shiloh. Shiloh was the culmination of the first year of the Civil War in the West and the biggest battle in the nation’s history up to that time. Mr. Tagg’s discussion will illuminate a radically different struggle than the Civil War in the East, both in terms of its generals, its politics and its military campaigns. Join the Civil War Museum for a day of interactive and fun activities that celebrate the life, generalship, and presidency of Civil War hero Ulysses S. Grant. Pan for gold, play world games, launch stomp rockets, build forts, and train to be a soldier in one of his regiments during this free family event. For more spring break family fun, visit the Kenosha Public Museum and Dinosaur Discovery Museum. On what would be Orson Welles’ 104th birthday, relive the Victorian-era period drama, widely considered to have been based on his Kenosha upbringing. Celebrate Kenosha’s Craft Beer Week by sampling beers from across the Midwest in the main exhibit of the Civil War Museum. These beers were selected not only for their great taste, but also because they fit into the themes of the museum gallery. Your ticket includes eight 4 oz tastings. Have a great time sampling in the exhibition, but be careful – you might just learn something too! First female pilot to fly solo across the Atlantic. Author of best-selling books. Recipient of the U.S. Distinguished Flying Cross Award. Women’s rights activits. Amelia Earhart achieved much by the time of her disappearance on an attempt to fly around the world at the age of 39. Hear her fascinating story in a first-person presentation by Leslie Goddard. Enjoy traditional tea foods and choose from a variety of hot teas. Save the date! Watch for more details of this free family event coming soon! Join the museum for a day filled with presentations and discussions about Gettysburg. On August 20, 1863, thirteen veteran soldiers from the 3rd North Carolina decided that they’d had enough of war. That evening, in the blackness of night, they picked up their rifles, slung on their cartridge belts, and escaped into the woods. From that point on there was no turning back. Join Professor Pete Carmichael of Gettysburg College and learn why these soldiers deserted and what happened to them during their journey. This lecture will focus on the words of John Futch, one of the thirteen deserters. Though he was illiterate, Futch left a remarkable set of letters that he dictated to his comrades. Futch’s powerful story puts us in the shoes of a deserter, enabling us to see his world after the devastating defeat in Gettysburg, Pennsylvania. This speech is part of Dr. Carmichael’s newest book entitled, The War for The Common Soldier: How Men Thought, Fought and Survived in Civil War Armies. Drive down the Emmitsburg Pike, toward the famous Peach Orchard, and you will pass the Sherfy Farm. Immaculately maintained by the NPS and the Gettysburg Foundation, only the house shows signs of the intense battle fought amongst the outbuildings and in the house on that Thursday in July of 1863. Using photographs, primary source accounts, and rich history, Steve Acker will show you the people and events surrounding the Sherfy Farm before, during, and after the Battle of Gettysburg. When most people think of the second day at Gettysburg they think of Col. Joshua Chamberlain’s 20th Maine immortalized in the movie Gettysburg. Or they think of James Longstreet’s Confederate attack on Daniel Sickles’ Third Corps that came very close to shattering the Federal defenses along Cemetery Ridge. Only a few think of the “other” important events of July 2, the Confederate assaults on the Union Twelfth Corps on Culp’s Hill and the Eleventh Corps on Cemetery Hill. But these events were every bit as crucial to the preservation of the Federal position and the eventual Union victory. This illustrated PowerPoint presentation will explain these assaults, the Union defense, and the importance of the two engagements on the Union right. Keith Rocco will discuss the scenes of the battle which he has painted over his 35 year career. The slide show will also touch on the history of historical art and artifacts from the Gettysburg Visitor Center used in the creation of his paintings. Here is the itinerary. Reservations for the trip can be made by mail, in person, or by phone at 262-653-4140 with a credit card.